The Delta II rocket carrying RadFxSat (Fox-1B) launched at 09:47:36 UTC on November 18, 2017 from Vandenberg Air Force Base, California. Following a picture-perfect launch, RadFxSat was deployed at 11:09 UTC. Then the wait began. 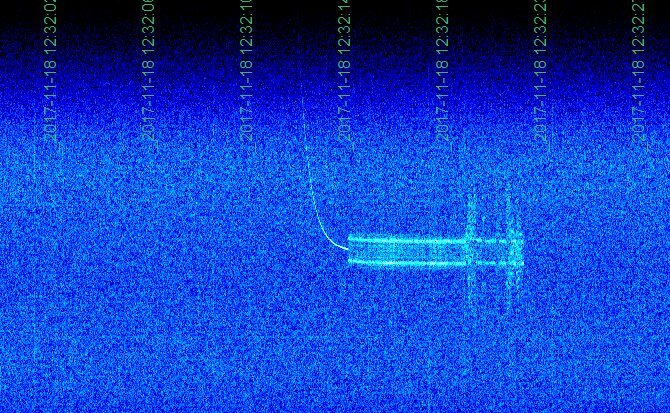 At 12:12 UTC, the AMSAT Engineering team, watching ZR6AIC’s WebSDR waterfall, saw the characteristic “Fox Tail” of the Fox-1 series FM transmitter, confirming that the satellite was alive and transmitting over South Africa. Shortly after 12:34 UTC, the first telemetry was received and uploaded to AMSAT servers by Maurizio Balducci, IV3RYQ, in Cervignano del Friuli, Italy. Initial telemetry confirmed that the satellite was healthy. “RadFxSat (Fox-1B) was launched successfully at 09:47 UTC today November 18, 2017 from Vandenberg Air Force Base in California and has been received by several amateur stations. RadFxSat (Fox-1B), a 1U CubeSat, is a joint mission of AMSAT and the Institute for Space and Defense Electronics at Vanderbilt University. The Vanderbilt package is intended to measure the effects of radiation on electronic components, including demonstration of an on-orbit platform for space qualification of components as well as to validate and improve computer models for predicting radiation tolerance of semiconductors. AMSAT constructed the remainder of the satellite including the spaceframe, on-board computer and power system. The amateur radio package is similar to that currently on orbit on AO-85 with a FM uplink on 435.250 MHz (67.0 Hz CTCSS) and a FM downlink on 145.960 MHz. Experiment telemetry will be downlinked via the DUV subaudible telemetry stream, which can be decoded using the FoxTelem software. RadFxSat (Fox-1B) was sent aloft as a secondary payload on the United Launch Alliance (ULA) Delta II rocket that will transport the Joint Polar Satellite System (JPSS)-1 mission. 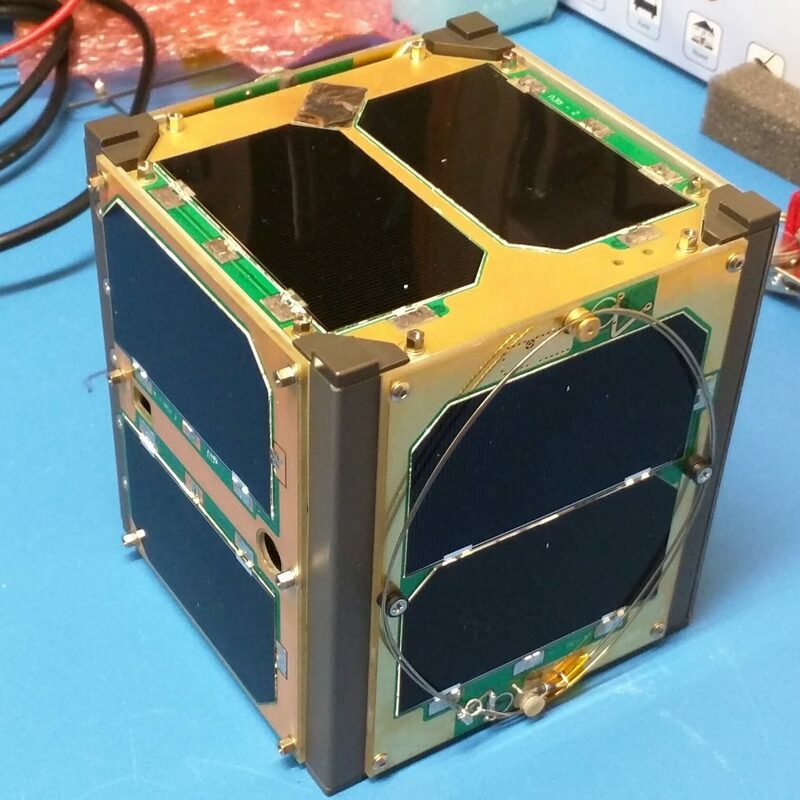 RadFxSat (Fox-1B) is one of four CubeSats making up this NASA Educational Launch of Nanosatellites (ELaNa) XIV mission, riding as secondary payloads aboard the JPSS-1 mission. Since RadFxSat (Fox-1B) has met all of the qualifications necessary to receive an OSCAR number, I, by the authority vested in me by the AMSAT President, do hereby confer on this satellite the designation AMSAT-OSCAR 91 or AO-91. I join amateur radio operators in the U.S. and around the world in wishing AO-91 a long and successful life in both its amateur and scientific missions. The FM voice transponder was made available for amateur use on November 23, 2017. Frequencies are subject to change post-launch.